The beauty of South Sligo | Where's Merrill? I have long been aware of the hidden beauty of my “back yard” in South Sligo, but as an early-riser, my appreciation has always been limited to scenic viewing during daylight hours. 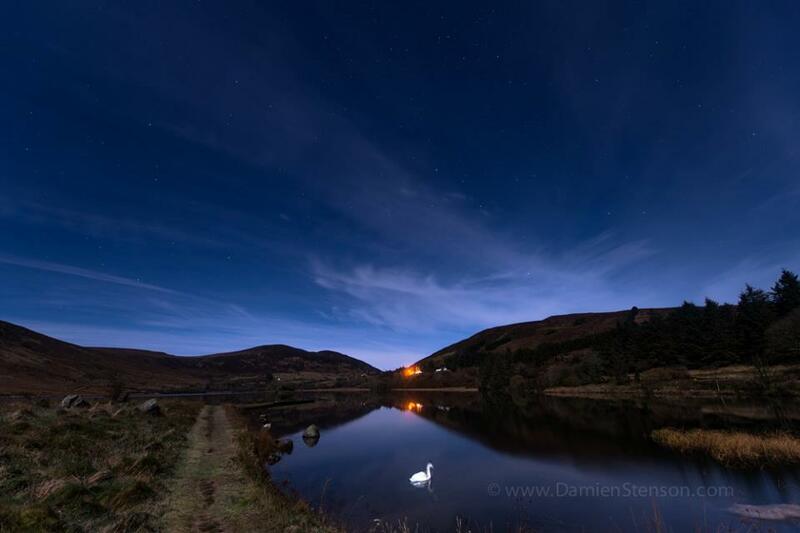 So I was was both surprised and proud to find that my home patch features regularly in the stunning night-time photography portfolio of Damien Stenson. 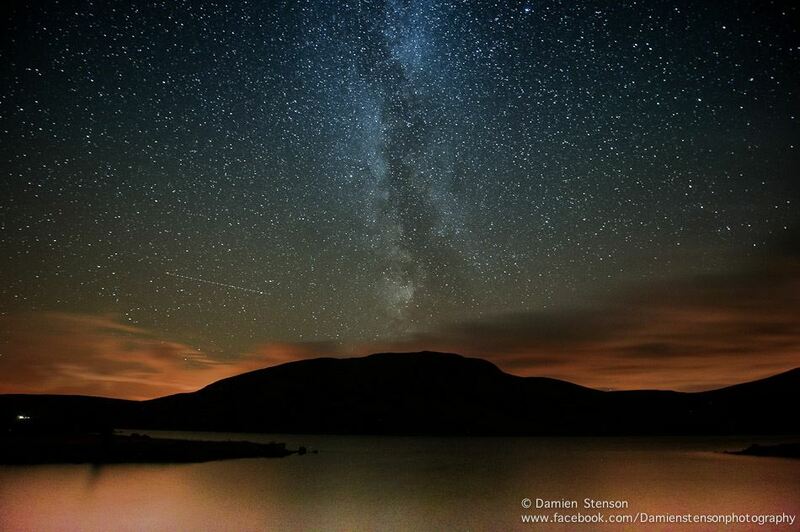 Damien is a very talented Galway-based landscape photographer but he specialises in night photography – as displayed by the breath-taking imagery shown below. 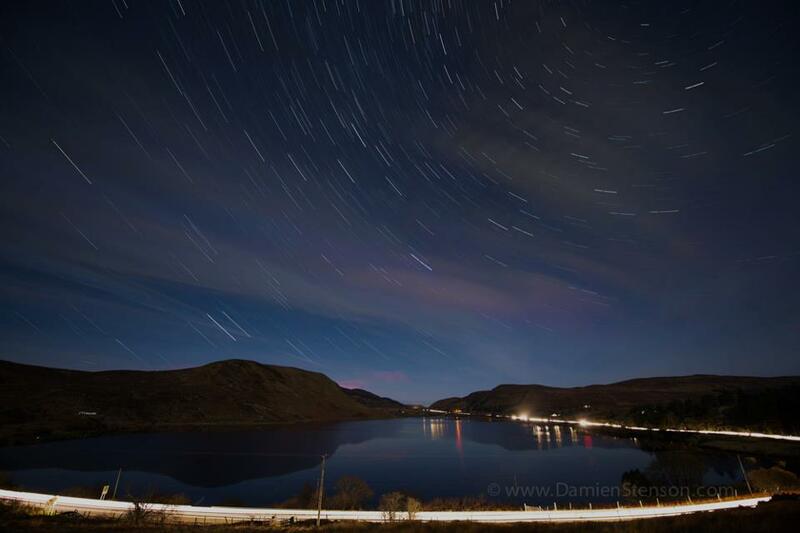 These four examples were taken from the shores of Lough Talt, nestled in the Windy Gap of the Ox Mountains. A big effort is underway to promote our tranquil backwater as a tourism destination to a worldwide audience. I am not alone in wishing this venture the greatest of success while conversely hoping that the trickle of rambling tourists never becomes a torrent of couldn’t care less litter louts. A tranquil backwater needs places of tranquility – even at peak season. The bright comet-like object in the night sky of the photo above is the International Space Station passing overhead during a film exposure of several minutes. 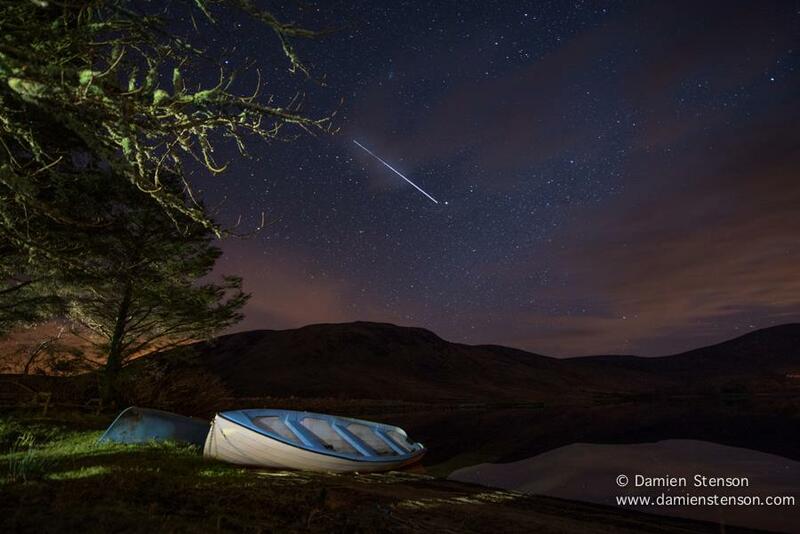 I am far from being a knowledgeable student of modern photography techniques so head over to Damien’s Facebook page for all the technical blurb about how these wonderful images were captured by a true magician of the lens. This entry was posted in Lucky Dip and tagged Cliffs of Moher, Galway, Ireland, Kerry, Lough Talt, Ox Mountains, Sligo, Stenson by Gearoid O'Neary. Bookmark the permalink.